Tommy James & The Shondells were one of the biggest bands of the 1960's, starting with his breakout hit "Hanky Panky" in 1966 which led to a deal with Roulette Records, Roulette, as is revealed in the book, was an active arm of the Genovese crime family. 'Me, The Mob & The Music: One Helluva Ride with Tommy James & The Shondells' tells the tale of Tommy and the band's sometimes uneasy but extremely successful relationship with the label. Amongst the blessings was a degree of creative control that would not have been possible at many other, more staid, organizations. This allowed Tommy, unlike many of his contemporaries, to make the jump from pop singles to psychedelic album-oriented rock in the later stages of the decade. In this book launch event Tommy, along with his co-author Martin Fitzpatrick, spent almost an hour answering questions and dropping anecdotes - mentioning in the process that plans are underway to make both a movie and a Broadway play of the story. DVD1717. 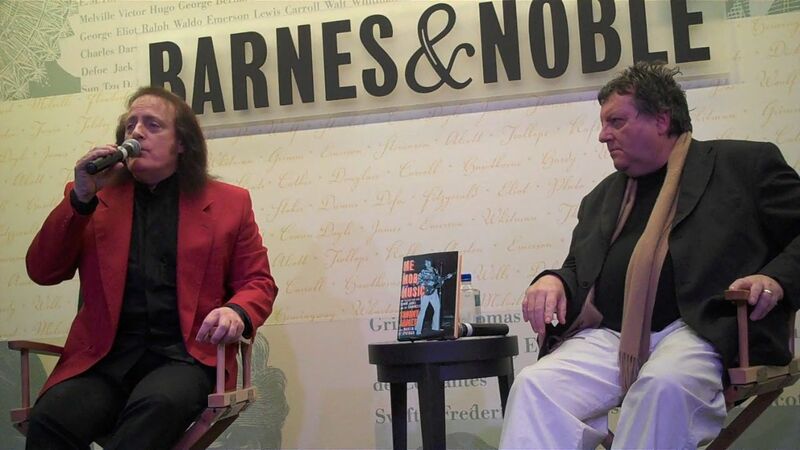 'Me, The Mob & The Music: One Helluva Ride with Tommy James & The Shondells' is available online from both Barnes & Noble and Amazon.